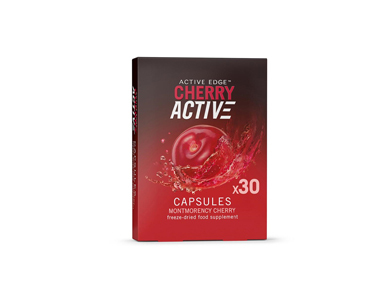 We sell Cherry Active products like CherryActive ® Capsules 30's online in the UK and directly from our award-winning store in Scotland. CherryActive® capsules are made from 100% natural, tart Montmorency cherries. After pressing the cherries to make our CherryActive® concentrate juice we take the skins and freeze-dry them and mill them into a fine powder. We sell real Cherry Active and other Other Herbal Remedies directly from our shop in Scotland and online throughout the UK. View more products from Cherry Active. Where can you buy real Cherry Active - 30 caps safely online? If you are wondering where you can buy CherryActive ® Capsules 30's safely online in the UK, then shop with us. Cherry Active - 30 caps - CherryActive ® Capsules 30's in Other Herbal Remedies and Herbal Remedies, Tinctures & Supplements.